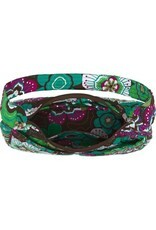 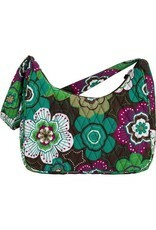 Playful floral print in teal, mauve, green, and white with complimentary chocolate brown base. Machine-quilted. 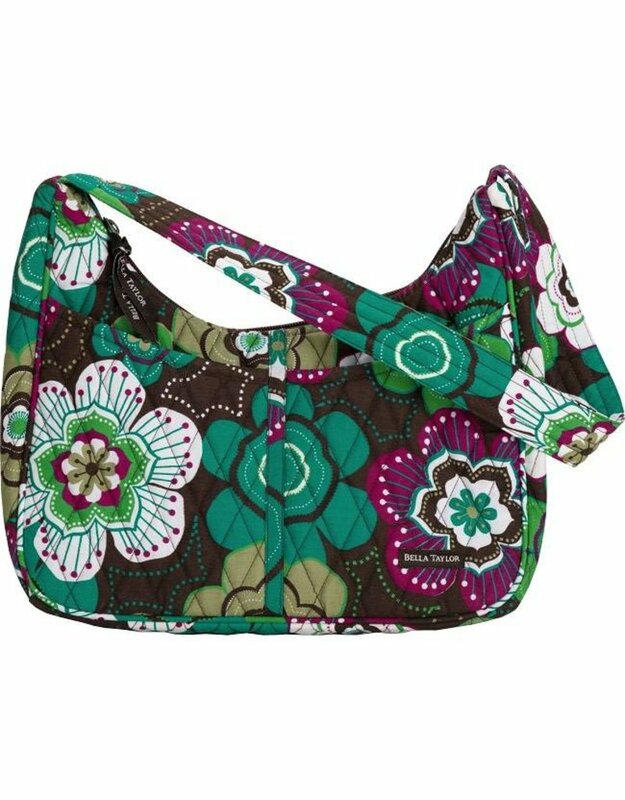 Inside base features removable plastic insert. 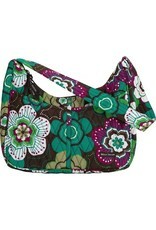 Lined in same printed fabric; quilted with foam batting. 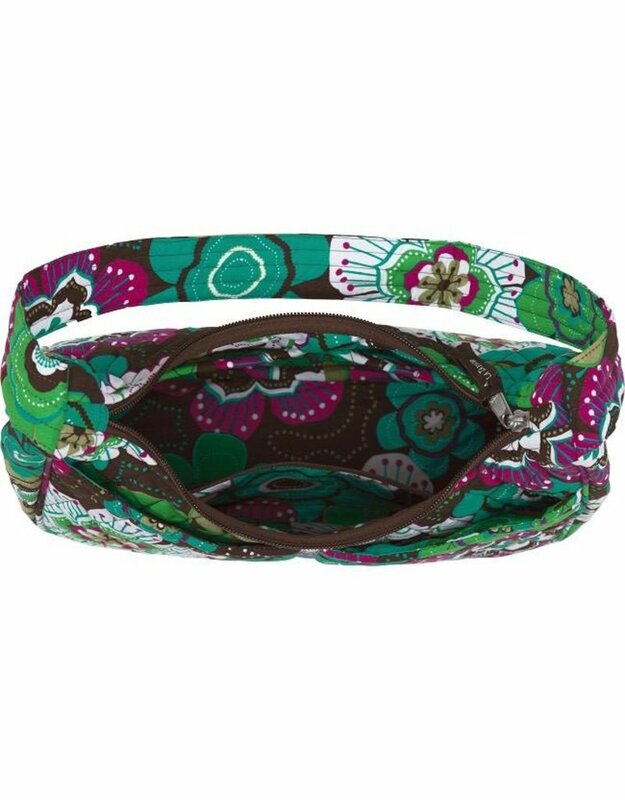 Floral print trim and strap; quilted with foam batting.